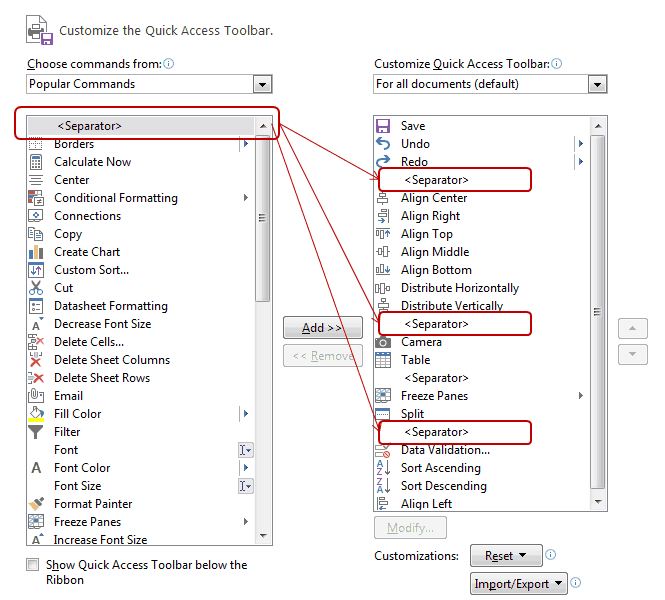 If you are addicted to using the Excel Quick Access toolbar (QAT), this tip is for you. These vertical line separators can be used to group similar icons together. For example, here I have all the object alignment icons together. Similarly, I have the data related icons (data validation and sorting) together at the end. Right-click on the QAT icons and select Customize Quick Access Toolbar.. In the Excel Option dialogue box, there are 2 sections. On the left, you have all the icons that can be added to QAT, and on the right, you have existing QAT icons. To add a separator, click on <Separator> and then click Add. You can then set the position of the Separator by using the up and down arrow keys. Click Ok. That’s it. Now your QAT icons would be separated by a grey vertical line (which gives an illusion that you have created groups). 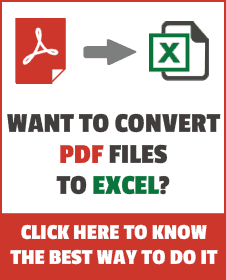 70+ Excel Functions (Examples and Videos).